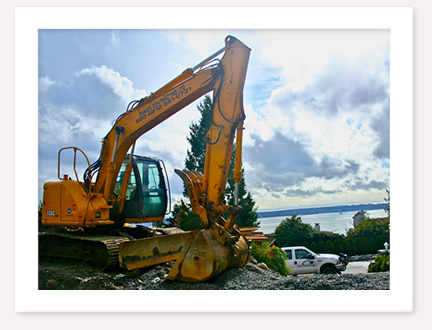 At Dan Ex Contracting, intimately understanding these simple concepts has allowed us to become one of the leading excavation companies on the North Shore today. And it didn't happen over night either. After 25 years of applying these concepts to our day-to-day operations, we have gained something that truly cannot be bought: experience and expertise. But we are not about to just sit back and rest on our laurels. That just wouldn't be us. To be a leader in such a competitive industry, at Dan-Ex Contracting Ltd, we recognized long ago the constant need for innovation. To continually search for a formula that solves the dynamic challenges of the industry. And our formula is working. How can it work for you?